287 p., 14,0 x 19,0 cm. 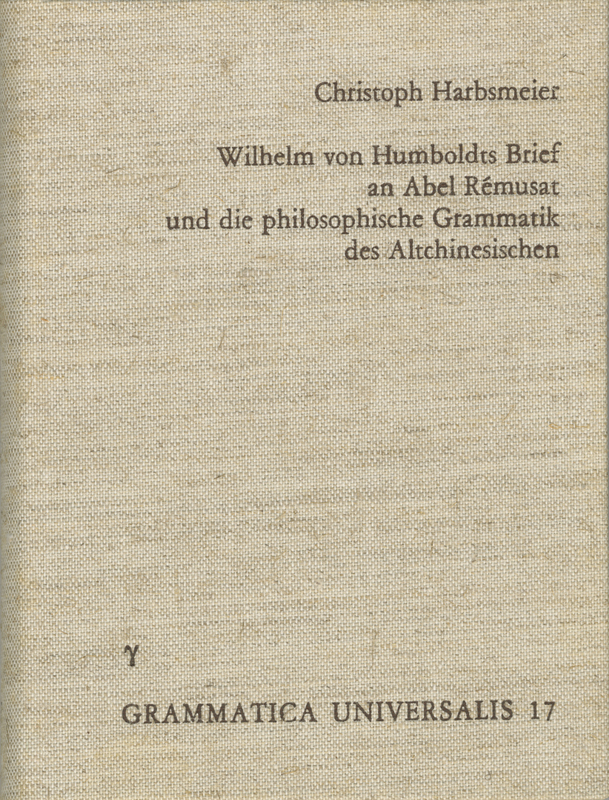 This volume provides a German translation of the Humboldt letter as well as biographical and bibliographical references and a comprehensive additional discussion of the main subjects raised by Humboldt (1767–1835). In particular, Harbsmeier shows the connections between the ancient Chinese grammatical tradition and current linguistic philosophy.